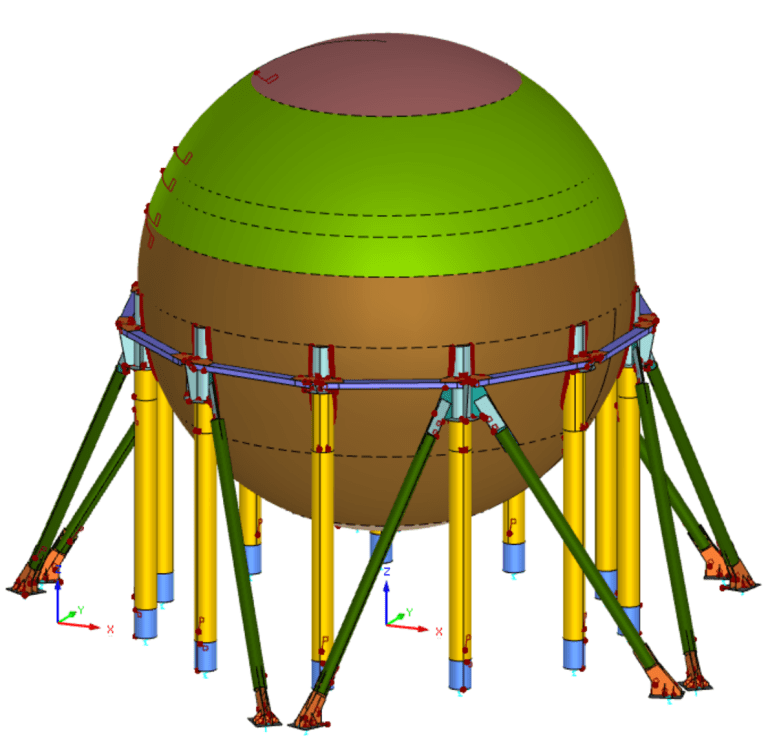 Conventional FEA uses solid elements to model physical entities, which for large structural assemblies is be labour intensive, requires excessive computer memory and will give inadequate results if the structure can undergo significant deflection and/or is slender. Beam elements are traditionally used to model long slender metallic or composite sections for example, the structural members and trusses on the boom of a crane or tower. Mechanika are experts in the use of beam elements for modelling structures and mechanical assemblies. Beam elements are ideal for slender members and cross ties, which enables them to be modeled with high resolution and accuracy whilst minimising the analysis run times. Where many consultancies simply mesh the structure with solid elements, we have the understanding of the suitability of each element type for a given application and we will model your equipment to the highest resolution with the appropriate elements.